Over the years, technology has seen some considerable advancement, and it has expanded into nearly every little aspect of our lives. So, it is not that surprising to hear that smart gardens have been invented and people are going crazy for them. 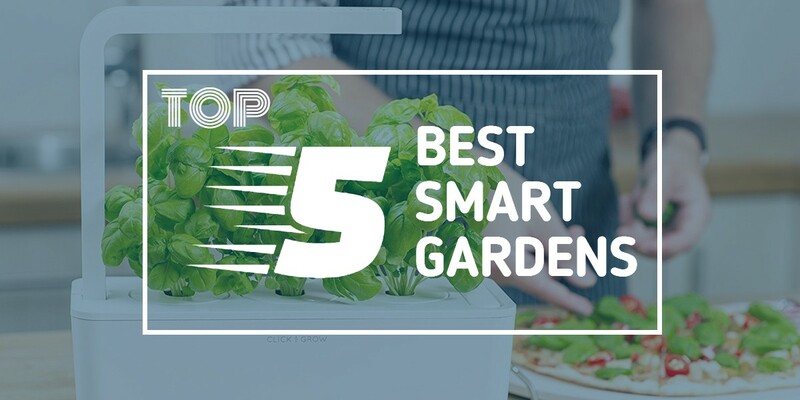 It has enabled everyone with a green thumb to enjoy in their own fragrant garden without worrying about the lack of space in their small apartments or gardenless houses. Also, the rising levels of pollution and the constant deforestation we all notice has made us aware of the influence we have on the environment. That is why everyone strives to contribute in any way they can. Some outdoor plant gardens, others buy smart gardens and incorporate them into their households all for the cause of saving our planet and enriching our lives. Additionally, it has been proven that the presence of some greenery in our homes and workplaces remarkably reduces our stress levels. So, if you have been really stressed out recently go out and buy some plant to brighten up your day. If you aren’t sure about the effects of these gardens on your everyday life and the people around you, read more about it here. When we picture the meaning of the word garden, we always associate it with soil and the great outdoors. Smart gardens actually have no need for soil. All they need is a bit of water and for you to plug them in. If somebody mentioned growing plants without soil a couple of years ago, everyone would think that they were joking, but nowadays it’s a reality for domestic as well as commercial growth around the globe. Keep in mind, some plants prosper in a particular soil type. So, you have to look for that specific type to make sure your plant thrives. Also, there are various qualities of soil. If you do not have the proper soil type and condition, searching for it and purchasing it can prove to be tedious work. Having an indoor garden has enabled everyone who cooks in their own homes the opportunity to have fresh ingredients and grow their own food which has been proven to be quite rewarding. You won’t have to worry about having all the ingredients for your recipe beforehand. This also saves you a trip to the market. This way you will know for sure the products from your own garden are a pest, disease, and insecticide free. The fact that the plants don’t grow in the soil means that you don’t require pesticides and constant weeding. This makes the produce healthy and ready for consumption. Also, you don’t have to have a guilty conscience about the impact the pesticides have on the environment, because you won’t be using any. 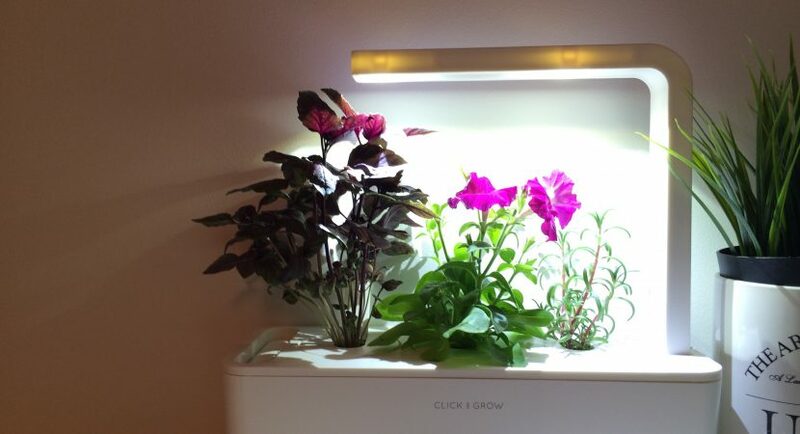 The products from your smart garden will be able to grow big and healthy without any chemical intervention. Most plants need a specific amount of light, weather, humidity, air, and soil quality. If you live in space- restricted home, you have to think about if your plants are in the right spot in your home and if they have enough light for proper growth. This is not the case with the smart garden. These types of environments provide you with complete control over the climate. That way you will be in charge of determining the right degree of temperature, light and even air composition to satisfy the plant’s needs for optimal growth. So, regardless of weather and season, households and farmers can maximize the quantity of the production and the quality of the produce all year round. As we all know tending a garden means continual work and care. First, there is the choice of soil type and quality, choosing the right spot, worrying about the sun exposure, inconvenient weather and what not. Then, there are the weeds, pests and probable diseases. You can’t afford to forget about them because they need your undivided attention. Smart gardens reduce the amount of labor you put in to take care of your plants, and it frees up time for other activities. Smart garden plants require a considerably smaller amount of water than plants that grow in soil. We are all knowledgeable about the importance of clean and drinkable water, especially in third world countries. So, it may seem like a waste to use up all that water on plants when it can be used elsewhere. These plants demand only 5-10% of the water traditional plants use. Also, these types of garden function on circulating the water, so it doesn’t go to waste. Most importantly, the tending of this type of garden won’t require the use of pesticides which can harm the environment and our life quality. This way you contribute to a healthier ecosystem.